The IRC900 Series cameras provide high thermal sensitivity and spatial resolution in a compact package suitable for laboratory and field use. 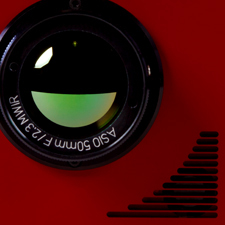 Developed using closed cycle stirling coolers these cameras offer the highest full frame rates and shortest integration times in the industry. Produced with all metal external parts, these coolers are built for long life under stressing environmental conditions. IRC offers these products with the ability to configure spectral band cold filter, transfer tube configuration, and f/#, allowing you to alter for specific application requirements. Utilizing the latest in all digital FPA Technology, the IRC900 Series offers unmatched sensitivity, ultra-low noise, no blooming and no cross talk. There are 5 standard models of the IRC900. Click on the model numbers below for more detailed information about each model, or view the complete IRC900 Series specifications for a full comparison.